Information about the Library Commission including meeting agendas and minutes, members, and mission. Click on the CCC Library's 100th Birthday Celebration to see a video of the Board of Supervisor's meeting from December 11th 2012. Thursday, March 21, 2019 from 7- 9p.m. Committee Members who cannot attend should call Library Administration at (925) 608-7700 by 5:00 p.m., Wednesday, March 20, 2019. The minutes will be posted when they are available. Thursday, January 17, 2019 from 7- 9p.m. Committee Members who cannot attend should call Library Administration at (925) 608-7700 by 5:00 p.m., Wednesday, January 16, 2019. Thursday, November 15, 2018 from 7- 9p.m. Committee Members who cannot attend should call Library Administration at (925) 608-7700 by 5:00 p.m., Wednesday, November 14, 2018. Thursday, September 27, 2018 from 7- 9p.m. Committee Members who cannot attend should call Library Administration at (925) 608-7700 by 5:00 p.m., Wednesday, May 23, 2018. Thursday, July 26, 2018 from 7- 9p.m. Thursday, May 24, 2018 from 7- 9p.m. Thursday, march 22, 2018 from 7- 9p.m. Committee Members who cannot attend should call Library Administration at (925) 608-7700 by 5:00 p.m., Wednesday, March 21, 2018. Thursday, January 25, 2018 from 7- 9p.m. Committee Members who cannot attend should call Library Administration at (925) 608-7700 by 5:00 p.m., Wednesday, January 24, 2018. Thursday, November 16, 2017 from 7-9 p.m.
Committee Members who cannot attend should call Library Administration at (925) 608-7700 by 5:00 p.m., Wednesday November 15, 2017. Thursday, November 16, 2017 from 6:30 to 6:55p.m. Thursday, October 5, 2017 from 5:30 to 7p.m. Committee Members who cannot attend should call Library Administration at (925) 608-7700 by 5:00 p.m., Wednesday October 4, 2017. Saturday, September 16, 2017, 8:30 to 9:00 a.m. This meeting will precede the Library Commission, Friends and Foundations Forum gathering. Committee Members who cannot attend should call Library Administration at (925) 608-7700 by 5:00 p.m., Friday, September 15, 2017. Thursday, August 24, 2017 from 7-9 p.m. 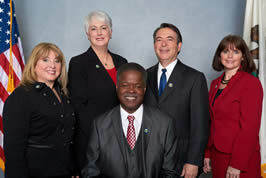 There will be an Orientation meeting for new Commissioners from 5:30-7 p.m. before the Library Commission meeting. Committee Members who cannot attend should call Library Administration at (925) 608-7700 by 5:00 p.m., Wednesday August 23, 2017. Thursday, May 25, 2017 from 7-9 p.m.
Committee Members who cannot attend should call Library Administration at (925) 608-7700 by 5:00 p.m., Wednesday May 24, 2017. Thursday, March 23, 2017 from 7-9 p.m.
Committee Members who cannot attend should call Library Administration at (925) 608-7700 by 5:00 p.m., Wednesday March 22, 2017. Thursday, January 26, 2017 from 7-9 p.m.
Committee members who cannot attend should call Library Administration at (925) 608-7700 by 5:00 p.m., Wednesday, January 26, 2017. Thursday, November 17, 2016 from 7-9 p.m.
Committee members who cannot attend should call Library Administration at (925) 646-6423 by 5:00 p.m., Wednesday, November 16, 2016. Thursday, September 22, 2016 from 7-9 p.m.
Committee members who cannot attend should call Brooke Converse at (925) 646-6423 by 5:00 p.m., Wednesday, September 21, 2016. Thursday, August 18, 2016 from 5:30-7:30 p.m. Ad Hoc Committee members who cannot attend should call Brooke Converse at (925) 646-6423 by 5:00 p.m., Wednesday, August 17, 2016. Thursday, July 28, 2016 from 7-9 p.m.
Committee members who cannot attend should call Brooke Converse at (925) 646-6423 by 5:00 p.m., Wednesday, July 27, 2016. Thursday, June 30, 2016 from 5:30-7:15 p.m. Ad Hoc Committee members who cannot attend should call Brooke Converse at (925) 646-6423 by 5:00 p.m., Wednesday, June 29, 2016. Thursday, June 9, 2016 from 5:30-7:30 p.m. Ad Hoc Committee members who cannot attend should call Brooke Converse at (925) 646-6423 by 5:00 p.m., Wednesday, June 8, 2016. Thursday, May 26, 2016 from 7-9 p.m.
Committee members who cannot attend should call Brooke Converse at (925) 646-6423 by 5:00 p.m., Wednesday, May 25, 2016. Thursday, May 26, 2016 from 6:45 - 7 p.m. Ad Hoc Committee members who cannot attend should call Brooke Converse at (925) 646-6423 by 5:00 p.m., Wednesday, May 25, 2016. Thursday, May 12, 2016 from 5:30-7:30 p.m. Ad Hoc Committee members who cannot attend should call Brooke Converse at (925) 646-6423 by 5:00 p.m., Wednesday, May 11, 2016. REGULAR SCHEDULED LIBRARY COMMISSION MEETING. Thursday, March 24, 2016 from 7:00 p.m. - 9:00 p.m. Commissioners who cannot attend should call Brooke Converse at (925) 646-6423 by 5:00 p.m., Wednesday, March 23, 2016. Please use this link to submit comments to the Library Commission. Ad Hoc Committee members who cannot attend should call Brooke Converse at (925) 646-6423 by 5:00 p.m., Monday, March 14, 2016. Ad Hoc Committee members who cannot attend should call Brooke Converse at (925) 646-6423 by 5:00 p.m., Monday, February 22, 2016. Thursday, January 28, 2016 from 7:00 p.m. - 9:00 p.m. Commissioners who cannot attend should call Jessica Hudson at (925) 646-6423 by 5:00 p.m., Wednesday, January 27, 2016. Thursday, November 19, 2015 from 7:00 p.m. - 9:00 p.m. Commissioners who cannot attend should call Jessica Hudson at (925) 646-6423 by 5:00 p.m., Wednesday, November 18, 2015. Thursday, September 24, 2015 from 7:00 p.m. - 9:00 p.m. Commissioners who cannot attend should call Jessica Hudson at (925) 646-6423 by 5:00 p.m., Wednesday, September 23 2015. Thursday, July 23, 2015 from 7:00 p.m. - 9:00 p.m. Commissioners who cannot attend should call Jessica Hudson at (925) 646-6423 by 5:00 p.m., Wednesday, July 22, 2015. Thursday, May 28, 2015 from 7:00 p.m. - 9:00 p.m. Commissioners who cannot attend should call Jessica Hudson at (925) 646-6423 by 5:00 p.m., Wednesday, May 27, 2015. Thursday, March 26, 2015 from 7:00 p.m. - 9:00 p.m. Commissioners who cannot attend should call Jessica Hudson at (925) 646-6423 by 5:00 p.m., Wednesday, March 25, 2015. Thursday, January 22, 2015 from 7:00 p.m. - 9:00 p.m. Commissioners who cannot attend should call Jessica Hudson at (925) 646-6423 by 5:00 p.m., Wednesday, January 21, 2015. Thursday, November 20, 2014 from 7:00 p.m. - 9:00 p.m. Commissioners who cannot attend should call Jessica Hudson at (925) 646-6423 by 5:00 p.m., Wednesday, November 19, 2014. Thursday, September 25, 2014 from 7:00 p.m. - 9:00 p.m. Commissioners who cannot attend should call Jessica Hudson at (925) 646-6423 by 5:00 p.m., Wednesday, September 24, 2014. Thursday, July 24, 2014 from 7:00 p.m. - 9:00 p.m.
Thursday, May 22, 2014 from 7:00 p.m. - 9:00 p.m.
Thursday, March 27, 2014 from 7:00 p.m. - 9:00 p.m.
Thursday, January 23, 2014 from 7:00 p.m. - 9:00 p.m.
Thursday, November 21, 2013 from 7:00 p.m. - 9:00 p.m.
Thursday, July 25, 2013 from 7:00 p.m. - 9:00 p.m.
Thursday, May 23, 2013 from 7:00 p.m. - 9:00 p.m.
Thursday, March 28, 2013 from 7:00 p.m. - 9:00 p.m.
Thursday, January 24, 2013 from 7:00 p.m. - 9:00 p.m.
Thursday, November 15, 2012 from 7:00 p.m. -9:00 p.m.
Home Page Library Click Committee of the Library Commission Meeting. Home Page Library Click Committee Members who cannot attend - call Corinne Kelly at (925) 927-3206 by 5:00 p.m., Wednesday, September 26, 2012. Thursday, September 27, 2012 from 7:00 p.m. -9:00 p.m. Commissioners who cannot attend should call Corinne Kelly at (925) 927-3206 by 5:00 p.m., Wednesday, September 26, 2012. Homepage Library Click Committee of the Library Commission Meeting. Tuesday, August 21, 2012, 2:00 p.m.
Committee Members who cannot attend should call Corinne Kelly, Executive Secretary at (925) 927-3206 by 5:p.m., Monday, August 20, 2012. "One-Click Button" Committee of the Library Commission meeting. Wednesday, June 13, 2012, 2:30 p.m.
Thursday, November 17, 2011, 6:30 pm Library Commission By-laws Committee meeting. Tuesday, June 21, 2011, 5:00 pm Library Commission By-laws Committee meeting. The minutes will be posted when they become available. Library Administration, Conference Room C.
Library Administrtion, Conference Room C.
Commissioners who cannot attend should please call Corinne Kelly, Executive Secretary, at (925) 927-3206 by 5:00 pm on 3/11/09.